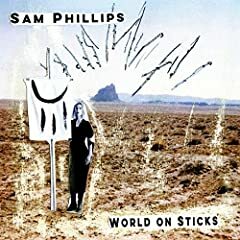 Sam Phillips (born Leslie Ann Phillips January 28, 1962) is an American singer-songwriter. She began her career in the contemporary Christian music industry but, uncomfortable with that image and industry, she re-branded herself as "Sam"—transitioning into the mainstream market after meeting producer T Bone Burnett. Her albums include the critically acclaimed Martinis and Bikinis in 1994. She has also composed scores for the television shows Gilmore Girls and Bunheads. This song has continued to be one of my favourites since I first heard it. Though sometimes the lyrics seem melancholy and sad at times, I've always felt the general impression of the song is redemtion of the singer. This song describes the remeption of a cynical and tired person, through someone they love, whether romantic or otherwise. The last verse, I feel, describes how the singer once was "alone and misunderstood." And I'm confident that this verse, though last, is actually in the past in comparison to the first. This is because the first verse contains a lot of action in the present, like the singer looking into their redeemer's eyes or actively letting go of their pain. Whereas the last is more descriptive of things we assume the singer did, like saying that they gave up on ever being happy when they sing "hold on to nothing for good." I essentially believe this song is about the bittersweet homecoming of a road-weary cynic, who feels they have "worn-out" the goodness in the world. And the song is them marvelling the "night" which is the love of their redeemer, and feeling their heart "light up the skies" because of it.